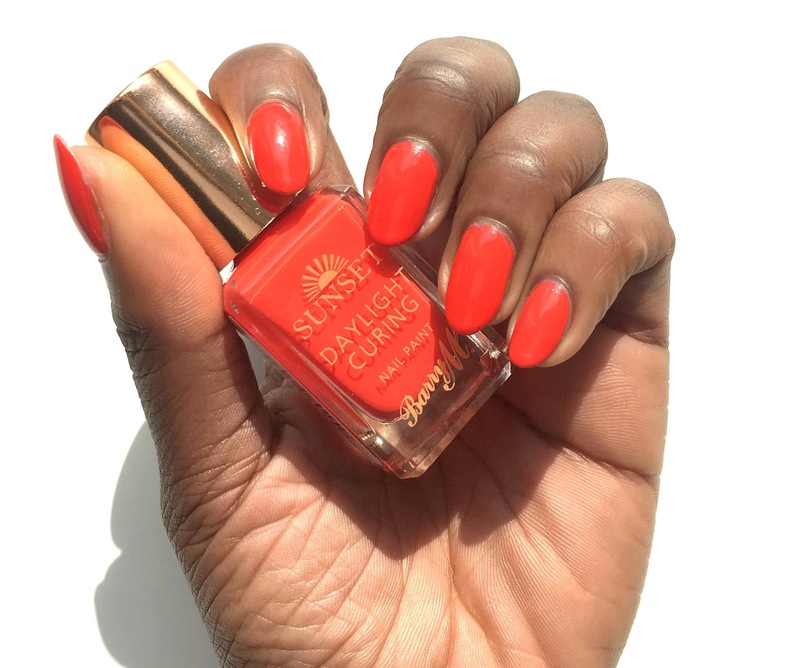 I finally had a go at trying out the sunset nail polishes from Barry M and I have to say that it has fast become my favourite. I love that it is fast drying and it is undeniable one of the glossiest polishes I have tried to date. 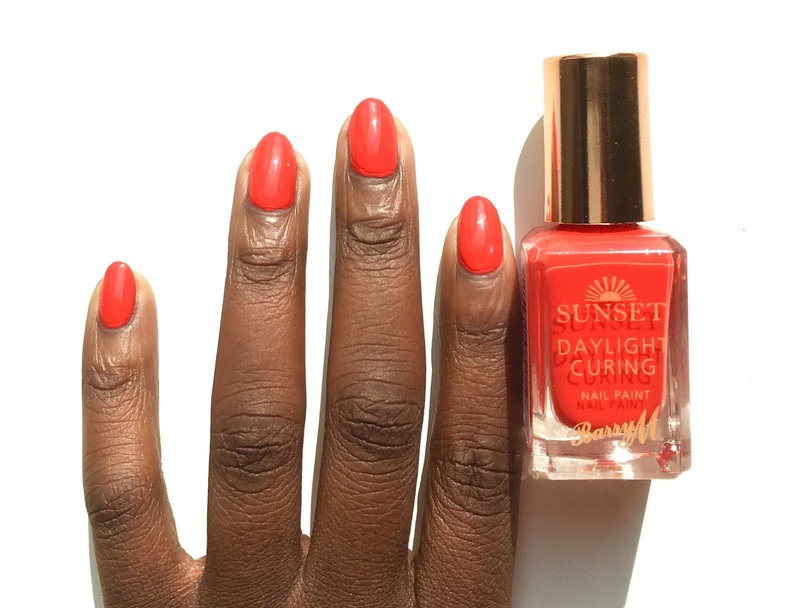 The formulation of the sunset nail paint means there is no need for a base coat however it is recommended that you use the sunset daylight curing topcoat to finish off your fresh manicure. Thus giving you that gel like finish without the use of a UV lamp. 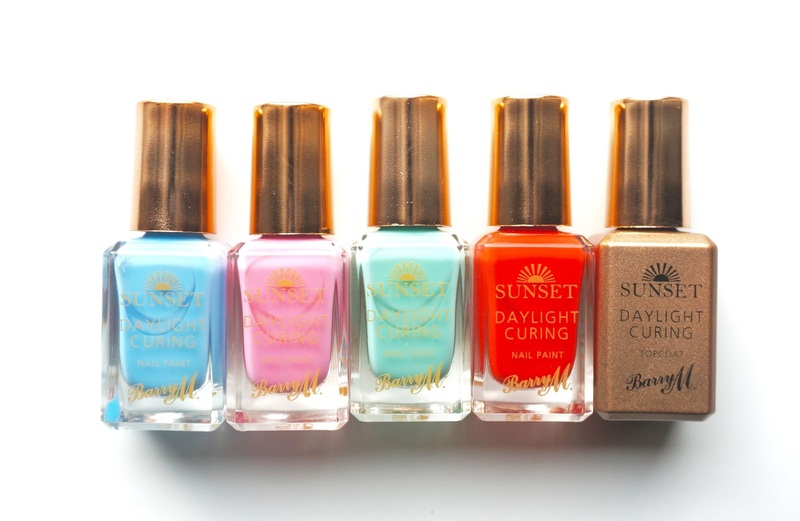 I was lucky enough to receive PR samples of the new SS16 additions (peep the new colours below) to the sunset nail polish range and as such I will be swatching each colour in the weeks to come. 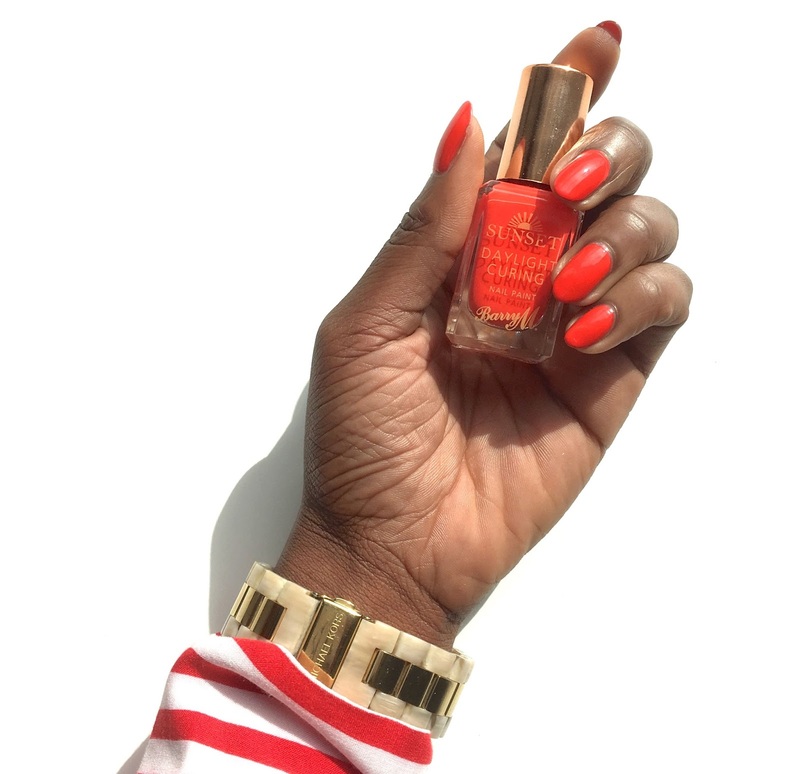 To achieve the results in the pictures above, I did apply two coats of Barry M, all the things she red before then applying the sunset top coat.